There are a few countries that really encapsulate summer holidays, and Italy is certainly one of them. From the rolling hills of Tuscany to the Amalfi coast, and right down to Puglia and Sicily in the south, it seems that everywhere is the idyllic place to visit - and the number of wines available for sipping on a sunny terrace or over a long, lazy dinner are as numerous as the dishes from the different regions. Not only is Italy one of the world's biggest producers of wine in terms of volume, it is also home to around 350 indigenous varieties of grapes. There is also a huge range in terms of quality. While Barolo and Barbaresco, made from the Nebbiolo grape, along with Brunello di Montalcino, which is made from the Sangiovese grape, are among the most celebrated and expensive wines, there is good value to be had in Italy. If you look on the label for the region of origin, you will find less-expensive but good-quality Nebbiolos from appellations such as Gattinara, Ghemme, Lessona, Boca and Bramaterra in the Alto Piemonte region, and for less-expensive Sangiovese wines, there are some top-quality Chianti Classicos. Italian whites are particularly suited to summer drinking and are very well-priced. And don't be tempted to just stick with Prosecco and Pinot Grigio. Aldi has a clean, crisp Gavi di Gavi for €9.99; Tesco Finest has a Passerina for €10, which I recommended back in June, as well as a Pecorino for the same price; the Spar, Eurospar, Londis and Mace outlets carry the organic Grifone range, and Lidl has a new seasonal line-up of Italian wines which just landed in last week. I particularly liked the Vermentino, which I've featured in the line-up of bottles this week. In their reds, they have a light, fruity Rossa de Montepulciano for €8.99 and a Valpolicella Ripasso Classico and Maremma Toscana, both for €11.99. One of the areas of Italy that is increasingly getting attention for its wines is Sicily. 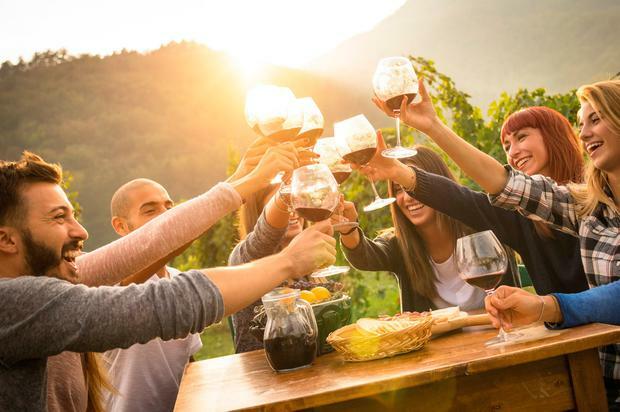 With its reliably warm climate and relatively inexpensive terroir - which ranges from the volcanic soils of the contradas in Mount Etna to limestone, clay and sandy soils - there has been a huge influx of young winemakers excited to grow grapes there. The big attraction has been the different soils of the Etna region, with the wines being made mainly from the ultra-hip Nerello Mascalese grape in the natural style, using wild yeast for fermentation. But in the somewhat lower-key south of the island, where the native red grapes include Nero d'Avola and Catarratto, and the native white variety is Grillo, there have been some great improvements among the traditional smallholders who have been growing grapes for generations. A few months ago, I tasted a range of wines from Mandrarossa, a co-operative that is based on the south-west coast of the island. Whereas normally you might expect the focus to be on volume, this co-op, which has over 2,000 members, incentivises the growers to plant grape varieties on soil that is specifically suited to each varietal, with a strong focus on quality. Their whites, which include a Fiano and a Grillo, are fresh and floral, and they have a good selection of reds, one of which is included in today's line-up. From Sardinia, this fragrant, dry white wine has a slightly silky texture and a crisp acidity with flavours of lime and green apple. Beautiful paired with crab cakes, or grilled or pan-fried fish. A Decanter silver-medal winner, this Chianti from the Campomaggio Estate has a generous nose of ripe red fruit with flavours of sour cherries on the palate finishing with a touch of dark berries, dried oregano, balsamic and vanilla. Normally blended with the more familiar Nero d'Avola, this is a single varietal Frappato which has fresh cherry and raspberry flavours. Chill it slightly and serve it with seared tuna, grilled vegetables or Parma ham.